Sub-specialties: Rhinoplasty (cosmetic and medical), plastic surgery, facial cosmetic treatments, cheek and chin augmentation, ear surgery (otoplasty), forehead contouring, neck and face lift surgery, lip augmentation, eye lift and other neck, face and head surgeries. 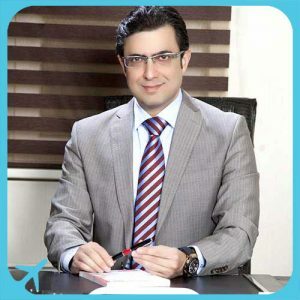 President of the ENT Research Center Of Fajr Hospital, Dr Rezaei is among the most experienced plastic surgeons in Iran with over 10,000 cosmetic surgeries. He is the pioneer and inventor of facial and eyebrow surgery using endoscopic method. He has completed several specialized courses such as the advanced course on rhinoplasty surgery held in the Netherlands, face lift course in Belgium, plastic surgery course in Munich, Germany, and facial surgery course in Vienna, Austria.